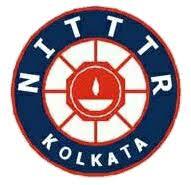 National Institute Of Technical Teachers Training and Research (NITTTR), Kolkata Recruitment Notification 2018.NITTTR inviting applications for the positions of Faculty (Professor/ Associate Professor).Interested and Eligible candidates can apply for the positions. Applicants must be completed Ph.D.with equivalent at the preceding degree in the appropriate branch, with a very good academic record with relevant experience from the recognized organization/ Board. Selected candidates will get pay per professor is leval-14 (Rs. 1,44,200-2,11,800) and for assistant professor is level-13A (Rs.1,31,400-2,04,700). Applicants can download the application form through offline from the official website http://www.nitttrc.ac.in/ and attach all relevant documents and send to the given address below. The Director National Institute of Technical Teacher’s Training and Research, Kolkata, Block-FC, Sector-III, Saltlake, Kolkata-700106.